just woke up and this quite ordinary outfit popped into my head, so i wore it. remarkably, i didn't revile it (which, lately, is usually what has been happening with outfits that pop into my head upon waking). of course, what might have "saved" this outfit is the fact that it isn't entirely "new". with the exception of the l/s top, i wore this outfit quite a few times last s/s. so it had familiarity going for it. of course, had i ended up reviling the outfit because of the "new variable" -- the l/s top -- it wouldn't have been the first time a familiar outfit with a slight tweak bombed in my estimation. 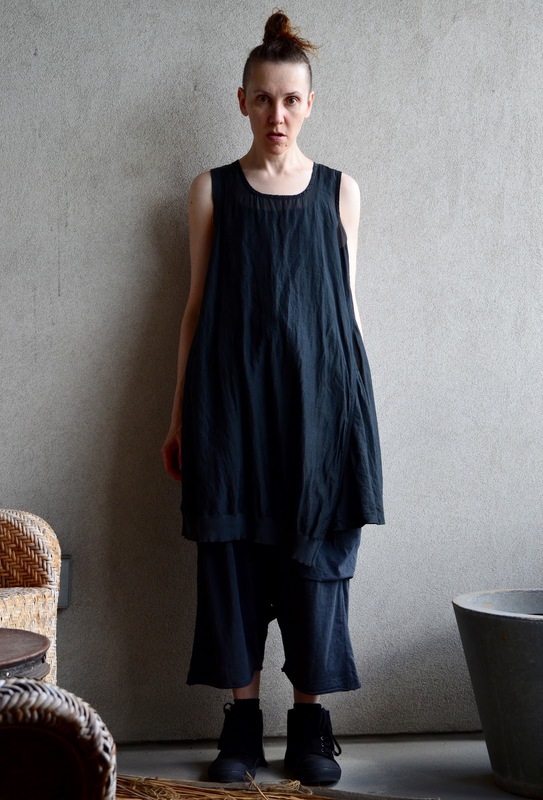 i am wearing rundholz black label s/s 2015 (tunic, trousers and l/s top) and rundholz black label s/s 2016 (shoes).